11 countries. 5 continents.1 day that brings the world together to spread a powerful message. 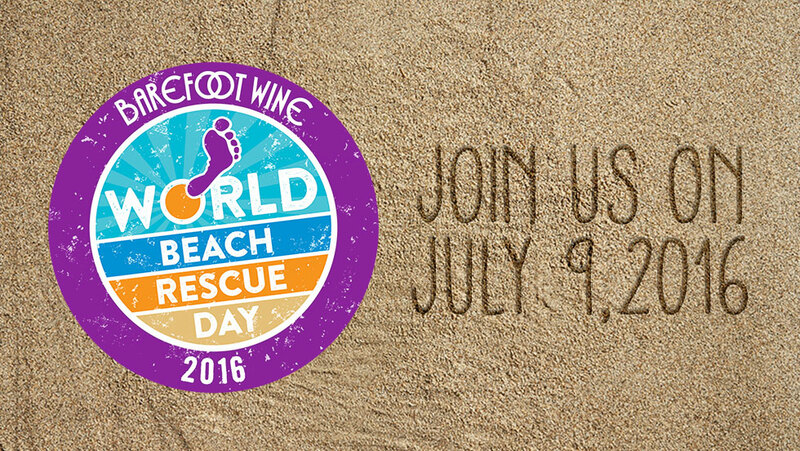 Barefoot Wine & Bubbly is declaring July 9, 2016 and the second Saturday of every July, “World Beach Rescue Day.” The world is officially invited to “Leave Only Footprints” and make beaches Barefoot-friendly! On July 9th, scores of volunteers from around the world will lend a hand – and a foot! – at simultaneous beach cleanup events in an effort to improve the state of their local shores, rivers, and lakes. Participants from 11 countries, including, United States, Canada, United Kingdom, Mexico, Puerto Rico, South Korea, Australia, Germany, Poland, Philippines and Singapore, are coming together to make a stand in the sand. Each clean-up will end with a celebratory toast to a job well done – cause after all, we’re all about having fun while doing good! Join us at Newcastle, Whitley Bay below Plaza NE26 1BG at 2pm on the 9th of July.